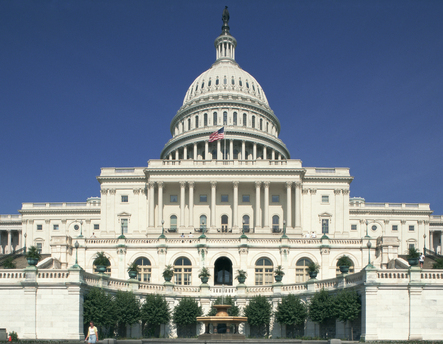 John Battelle's Search Blog What Doesn’t the Valley Understand About Washington? SOPA and PIPA is the classic example of the plumbing going out – and the Internet’s response to it was the topic of much of my conversations last month. Sure, “we” managed to stop some stupid legislation from passing, but the fact is, we almost missed it, and Lord knows what else we’re missing due to our refusal to truly engage with the instrument of our shared governance. To be fair, in the past few years a number of major Internet companies have gotten very serious about joining the conversation in DC – Google is perhaps the most serious of them all (I’m not counting Micrsoft, which got pretty serious back in 1997 when it lost an antitrust suit). Now, one can argue that like Microsoft before it, Google’s seriousness is due to how interested Washington has become in Google, but regardless, it was interesting to hear from source after source how they respected Google for at least fully staffing a presence in DC. Other large Internet companies also have offices in Washington, but from what I hear, they are not that effective beyond very narrow areas of interest. Two of the largest e-commerce companies in the world have a sum total of eight people in DC, I was told by a well-placed source. Eight people can’t get much done when you’re dealing with regulatory frameworks around fraud, intellectual property, international trade, infrastructure and spectrum policy, and countless other areas of regulation that matter to the Internet. – When the Valley does engage, it’s too lightly, and too predictably. Larger Valley companies get an office on K Street (where the lobbyists live) and hire an ex-Congressperson to lobby on that company’s core issues. But “that’s not where the magic is,” one source told me. The real magic is for companies to use their own platforms to engage with their customers in authentic conversations that get the attention of lawmakers. This happened – albeit very late – with SOPA/PIPA, and it got everyone’s attention in Washington. Imagine if this was an ongoing conversation, and not a one-off “Chicken Little” scenario? Counter to what many believe about Washington, where money and lobbying connections are presumed to always win the day, “Fact-based arguments matter, a lot,” one senior policymaker told me. “Fact-based debates occur here, every day. If you take yourself out of that conversation, it’s like going into litigation without a lawyer.” Internet companies are uniquely positioned to change the approach to how lawmakers “hear” their constituents, but have done very little to actually leverage that fact. – The Valley is too obsessed with the issue of privacy, one scholar told me. Instead, it should look to regulations around whether or not harm is being done to consumers. This was an interesting insight – and perhaps a way to think about protecting our data and our identities. There are already a thicket of regulations and law around keeping consumers safe from the harmful effects of business practices. Perhaps we are paying attention to the wrong thing, this scholar suggested. – The Valley assumes that bad legislation will be rooted out and defeated in the same way that SOPA and PIPA were. But that’s a faulty assumption. “The Valley is techno-deterministic, and presumes ‘we can engineer around it,'” one scholar told me. “They don’t realize they’ve already been blinkered – a subset of possible new technological possibilities has already been removed that they are not even aware of.” One example of this is the recent “white spaces” spectrum allocation, which while promising avenues of new market opportunity, was severely retarded by forces in Washington far more powerful than the Internet industry (more on this in another post). If I were to sum up the message from all my conversations in Washington, it’d be this: We’re here because as a society, we decided we needed people to help manage values we hold in common. Increasingly, the Internet is how we express those values. So stop ignoring us and hoping we’ll go away, and start engaging with us more. Decidedly better results will occur if you do. I don’t pretend that one trip to DC makes me an expert on the subject (it surely does not), but I left DC energized and wanting to engage more than I have in the past. I hope you’ll feel the same. perhaps a way to think about protecting our data and our identities. Identity Workshop IIW in Mountain View on May 1-3. The Valley doesn’t understand how little it accomplished in stopping SOPA. In the current environment, there are few things easier than stopping action in Washington. The JOBS Act was actually a much greater accomplishment because something actually passed (made much easier by the fact that the White House and Republican leaders agreed; it was liberal Democrats who opposed it.) I’ll take the Valley seriously in Washington (where I have lived for nearly 40 years) when they take on the TV industry or Hollywood, or better yet, a combination of the two, and win. Steve, can you say more on why you think stopping SOPA wasn’t a win? It was a win and a significant one. But it was too easy to be tremendously meaningful. The bill was miserably drafted and its manager, Rep. Lamar Smith, had no idea of what he was doing. Rigging the only hearing to stop opponents from testifying was a strategic error. By the time the tech industry united in opposition (and once Microsoft finally realized it had more to lose from SOPA than from piracy), the legislation was ready to be knocked over with a feather. Let’s see how the industry does on fixing CISPA. It’s going to pass in some form, but a united and effective industry could turn a problematic bill into a decent one. John Parry Barlow and the ACLU will never like it, but something decent could come out of this. I would just like to say firstly great article, even though I am from the UK its fascinating to see a perceived disconnection from technology companies that change the world and the regulators that govern them, you may expect differently based on the influence the valley and DC have on the world. Secondly I would like to give a massive thanks and gratitude shout out to Mr Battelle for all his continued posting and insight, you recently put a shout out to readers and were disappointed by the engagement figures you got back, I am a frequent reader and cannot express how important firstly your book the Search and now your blog has been to me in the last 2 years since I have started a digital marketing agency in Liverpool UK. In the UK I generally receive your blog posts hot of the press to my email client at between 11.30pm and 2.00am and I look forward to everyone of them. I was one of the people who didn’t respond to your recent call for action from readers and I, like I would imagine thousands of other readers was too busy to respond or had other things crop up! Basically dont stop what your doing its really important, and fascinating to me and no doubt thousands of other people. When I start a company that ends up being one of the big six I look forward to thanking you on stage at a web 2.0 summit event. Thanks for the kind words, Leon, keep on! Interesting John. I think the Valley is not really serious about Washington. I think the Valley is simply too self-absorbed and believes too strongly that what they do is ultimately what matters in this world. What they do is important. But people in this country tend to greatly overestimate their contribution and greatly underestimate the contribution of their environment and their engagement with others in that environment. And I think they may think in terms of technical approaches when our challenges in Washington aren’t, by and large, technical. I think the famous line, “we could send a man to the moon but we still had starving children in this country” sums it up for me. Just because you can create iPads and iPhones and become billionaires doesn’t mean you can address all challenges that way. The Valley, like Buffett, is in an ideal position to counter all the nonsense that doing well in business means having the weakest government possible. Stanford’s funding and activities are dependent in so many cases from funding from the federal government and areas that may not have immediate payoffs. Who better than the Valley folks to speak to this? Is it not in the Valley’s long-term interest to see infrastructure issues addressed? What if the folks that met with Obama at Doerr’s house spoke out and said we need to pay for what we have committed to, we need to act collectively in some places (like global warming), and the government may be imperfect but it is us. It would help. And it is our future (and the future of the kids of those who live in the Valley). I think the fiscal challenges we face will, over the long term affect the Silicon Valley. I’m not sure how they cannot. We are at a stalemate. Who better to rip through the arguments about business being hurt by raising taxes than, well, the titans of the Valley? I mean, I gather that a good portion of the Valley was built from government funding. The rest of the country needs the celebrities of the Valley to point this out again and again and again. They have a duty, in my view. Finally, I agree with Steve Wildstrom. Stopping legislation is one thing. Our system is designed to make it extremely difficult to pass legislation. So passing it, is quite another thing. It was a victory. But when the Valley is able to get such a controversial piece of legislation passed then I think they will have a more impressive victory. Very well put, David. I think we do stand at a crossroads. And I agree, this industry can lead or not. I want it to lead. John, this was a fascinating take. Thank you, first, for venturing to Washington and also for distilling your thoughts so clearly. Your take is exactly what I’m finding as I help start up an organization called Engine Advocacy, which is meant to leverage the ideas, personalities and stories from the emerging tech community and band them together to make a difference on policies that matter in Washington. What we have found, and as you discuss, is that while privacy and copyright issues may dominate the debate, it’s interesting to see that, building off the SOPA momentum, the impact working with Washington can have on the everyday lives of founders, entrepreneurs and startup companies with issues like immigration or financial regulation or patent. We’re working to gather more good data from our growing community and also build relationships of trust (thus avoiding the “us vs. them” mentality you speak about) between the startup community (especially beyond the Valley) and those in government so that we can change the perception of what our companies do, how they do it, the ideas we have and can share to make better policies, and how we can all work together to make America better. The very first step in that process is, as you lay out here, simply having a conversation. We’re working to have more conversations and keep people engaged, and it’s great to see more people getting involved in the process to help deepen that understanding. Glad you found this post and please stay in touch and keep us informed of your progress! About your statement I am bit curious. How come two largest e-commerce companies have only 8 people? About online privace act, I know, Sopa kicked some file hosting owners like megaupload founder, yes valley is too much strict on this now. Previous Previous post: On Larry Page’s Letter: Super Amazing Great Tremendous! Next Next post: A Coachella “Fail-ble”: Do We Hold Spectrum in Common?